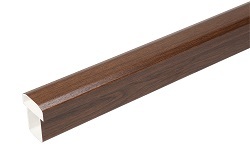 Fensys balustrade skirting and Premium Eco deck board products are produced with a high grade UPVC thermoplastic cap layer onto a commercial grade partly recycled base. The cap layer provides excellent weatherability and slip resistance whilst the base layer delivers a greener recycled element. 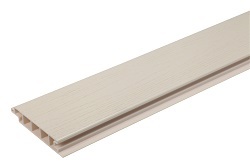 Our Premium range of 100% polymer deck boards are produced with an advanced engineering grade polymer cap layer giving exceptional weatherability. 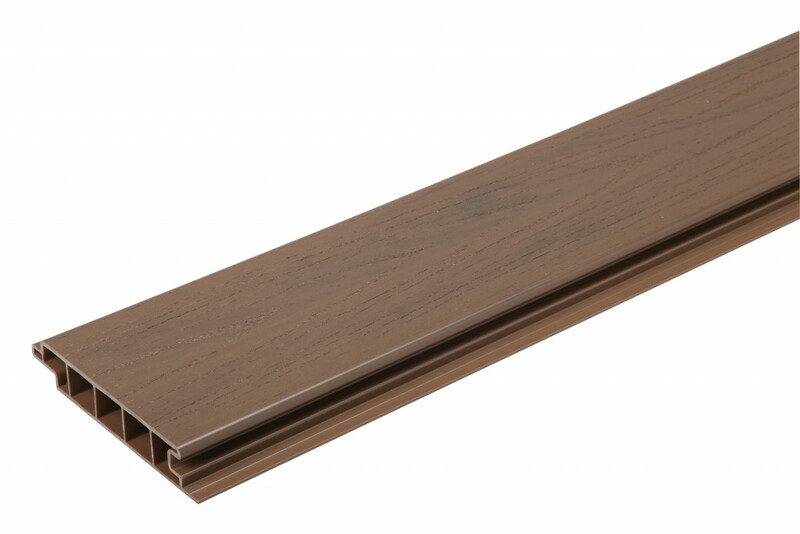 Excel boards are manufactured using multi colour processing technology meaning no two boards are manufactured the same; combined with a dual wood grain pattern giving excellent slip resistance an unparalleled natural appearance is achieved. Our Premium Eco range uses the same cap layer and wood patterning technology but are manufactured from a single colour. Wood grain effect balustrade finishes such as green, grey, rustic oak and golden oak are all produced using the same type of outdoor grade technical plastic film as double glazed window frames. More product information can be viewed by downloading our literature. 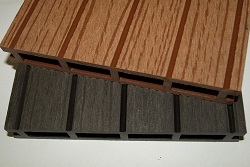 Our composite or wpc deckboard and trims are manufactured using a 60% wood 40% polymer mix. The boards are double side so can be used either way up and are designed to be fitted with a Fensys nylon fixing clip and suitable screw; we offer a self drilling screw for our metal sub-frame. Composite materials whilst being more resistant than timber to rot will on exposure to sunlight loose some colour but will settle usually after no more than 6 months to a even more natural looking tone of the original colour, please see the composite gallery for images demonstrating. 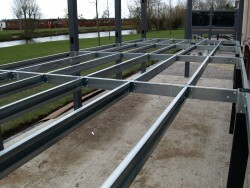 The boards are very strong and robust and will expand and contract, whilst the fixing clips are designed to allow this they must be fitted to a suitably strong sub-frame with 5mm clearance at board ends. All polymer products are manufactured by PAL GROUP (operations) LIMITED under the controls of BS EN ISO 9001 quality standard. A copy of our ISO 9001 accreditation certificate is available on request. Fensys 100% polymer are covered by a 10 year limited warranty. Composite materials are covered by our 2 year limited warranty. Copies of these warranties are available on request. Fensys deck boards have been tested by independent slip risk assessors Grip Potential Limited. Both 100% polymer and 60/40 composite products have been tested in dry and wet conditions to BS7976-2. Fensys use the most suitable weather resistant materials for all components however there are a few product warnings and things to watch out for. 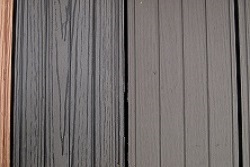 Rubber mats/feet – rubber mats are often manufactured from low grade materials that can damage/fade polymer deck boards. 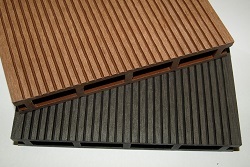 Avoid rubber mats and watch out for other rubber products such as furniture feet which can also react with the boards. 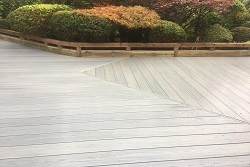 Chemical cleaning – deck boards and hand railing can be damaged by chemical cleaners, some very basic house hold cleaners can attack and damage polymer; Fensys only recommend lightly soaped water. Steam cleaning – high temperature cleaning apparatus should not be used. High pressure washing – with care pressure washers can be used on Fensys materials. Sun cream – sun cream can contain chemicals that degrade & fade polymer, take special care when applying sun cream, allow it to thoroughly soak in before making contact with any Fensys product especially foiled hand rails. Salt spray – ask for advice from your installer or Fensys if your installation is in a salt spray zone/close to the sea; salt can greatly reduce the life of some materials especially those made from steel. Furniture/Pots – care should be taken to lift and place anything you are moving over the deck surface, dragging can damage your Fensys deck board. Contact the manufacturer – With 1000’s of cleaning, care & restoring products on the market, Fensys recommend contacting individual product manufacturers for advice on their suitability with Fensys materials. 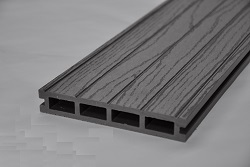 Fensys materials include – zinc plated steel sub-frame components, zinc plated balustrade reinforcements, Renolit foiled balustrade, UPVC skinned balustrade, UPVC skinned deck boards, ASA Luran skinned deck boards, polyethylene and poplar wood flower composite deck boards.